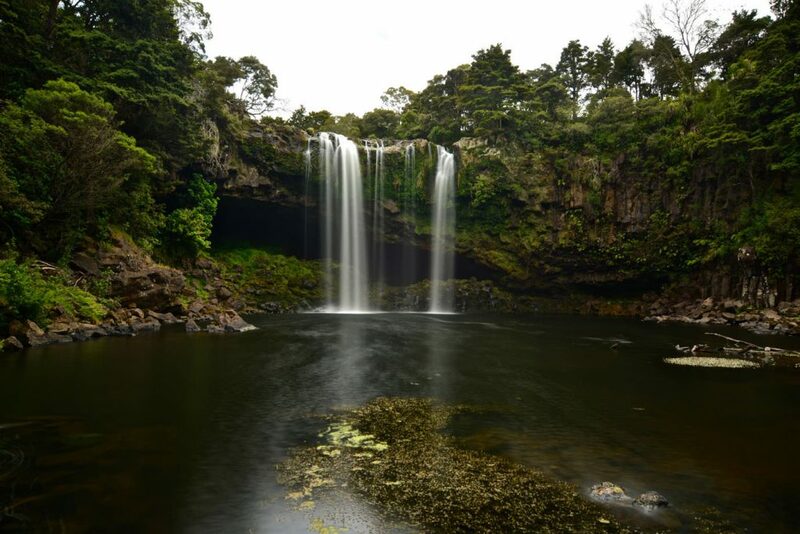 The Rainbow Falls are located on the Kerikeri River next to the village of Kerikeri on the North Island of New Zealand. Waianiwaniwa is the Māori name of the single-drop waterfall and means “waters of the rainbow”. 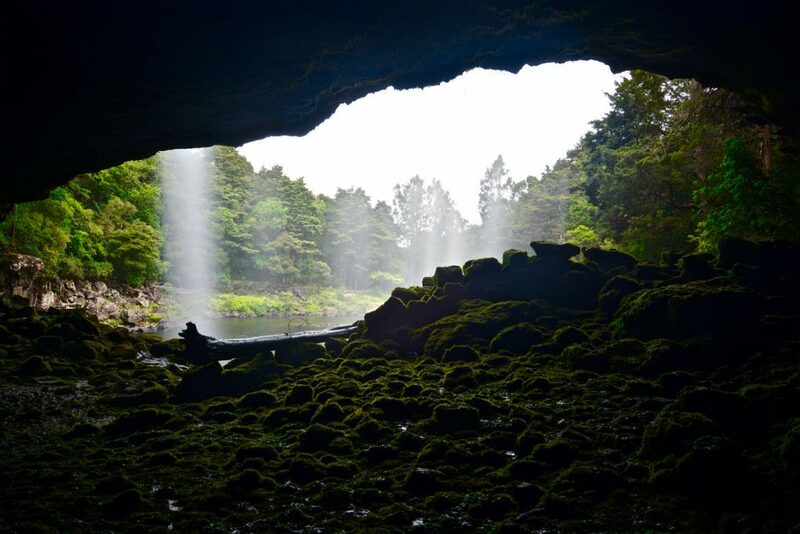 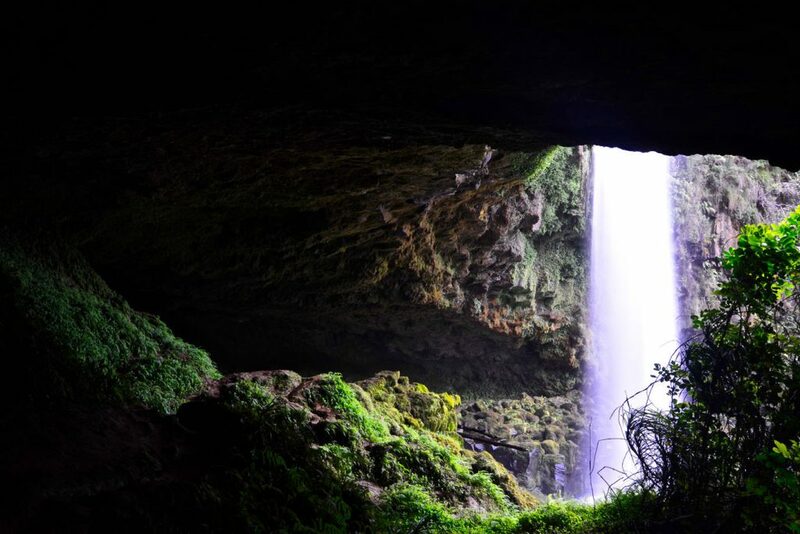 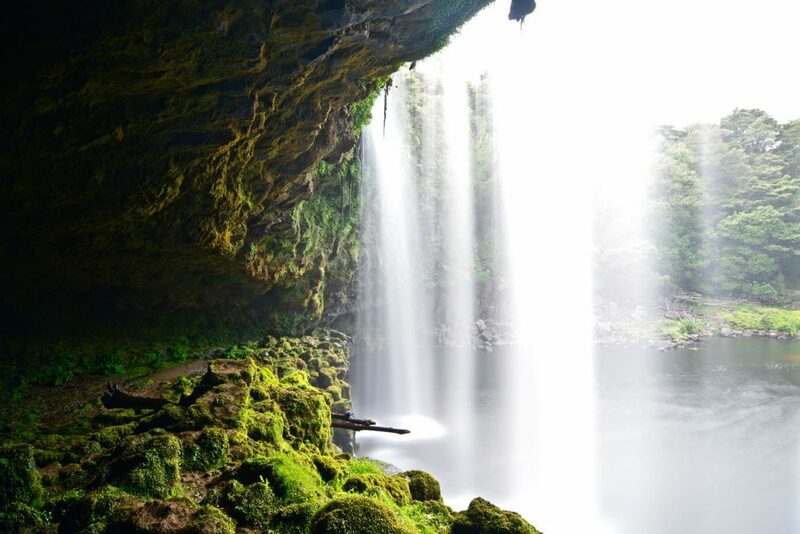 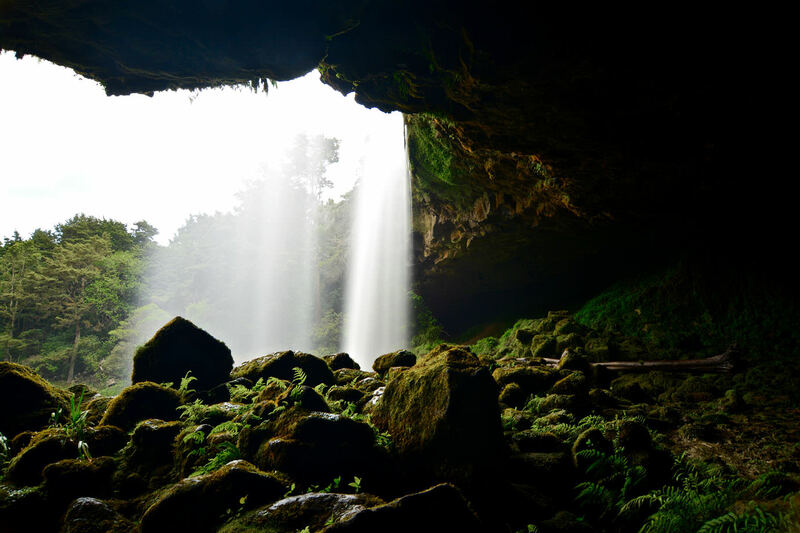 The Rainbow Falls are 27 metres high and behind them a cave can be found. 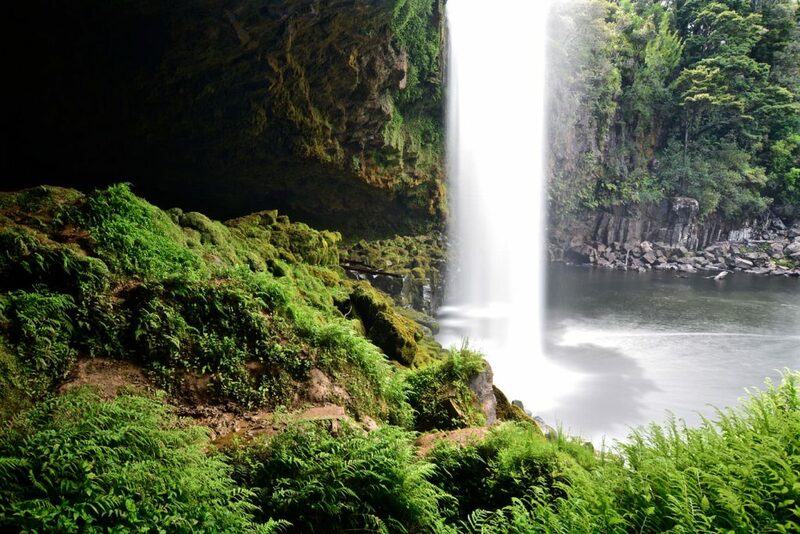 Hence it is possible to walk behind the falls. However, most of the waterfalls in New Zealand were created by the erosion of soft rock. 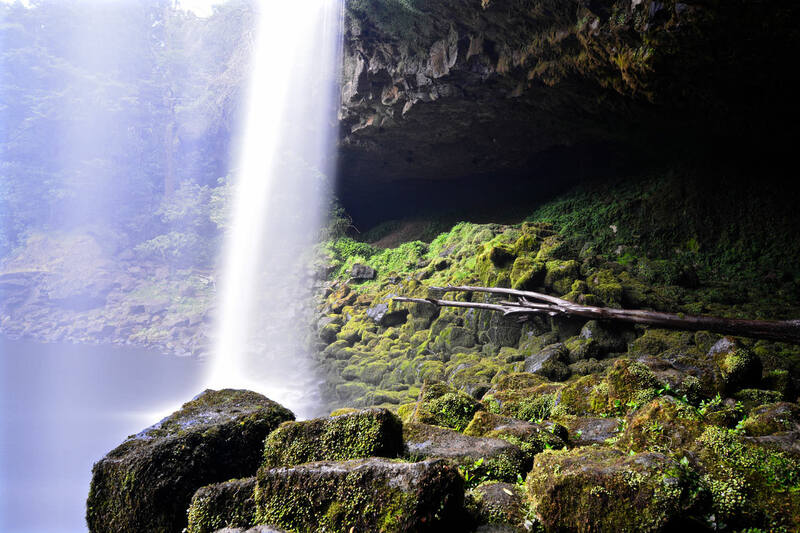 The Rainbow Falls on the other side are sited on a hard basalt layers of rock beside softer mudstone and were formed when water eroded the mudstone.